Not Confident That Your Resume Rocks? Job hunting? 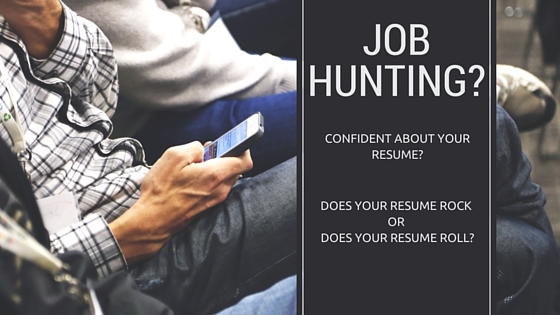 Are you confident about your resume? Do you think your resume rocks or is it rolling around with a bunch of other resumes in the electronic abyss of unqualifiedness? If you’re on the hunt, on the prowl, or on the move for a new job, it is inevitable that you are definitely going to need a resume that makes you stand out, shows you as an asset, and makes you feel amazing and confident. -No matter what you go after, you will not go after it 100% if you lack confidence. -You will take whatever you can get when you are not confident that you’re a valuable asset. -You will continue to suffer in a situation when you’re not confident you can do better or be successful. All three of these observations are applicable to people who are in need of a new job, want a better relationship, or seek to improve themselves mentally, physically, emotionally, or financially. Without confidence, everything feels difficult and impossible to accomplish. If you’re confident about what you’re doing, then you do it with a different kind of attitude and everything just feels right even IF it doesn’t feel easy. Confident people don’t need the EASY way, though, they just need A WAY to move toward what it is they desire. You’re on the hunt for a new job, but you lack confidence that you’ll get it because you’re not confident about your skills, abilities, and the value your bring to an organization. If you don’t know what skills, abilities, and value you offer, then how can you include them in your resume? If you do know what those are, then how are you including them in your resume? Are they showing up as a laundry list of tasks you were “RESPONSIBLE FOR” or are they showing up as quantifiable and measurable results? Be confident. Know your worth. Understand the value you bring to EVERYTHING…EVERYONE…EVERY JOB…EVERY EXPERIENCE. 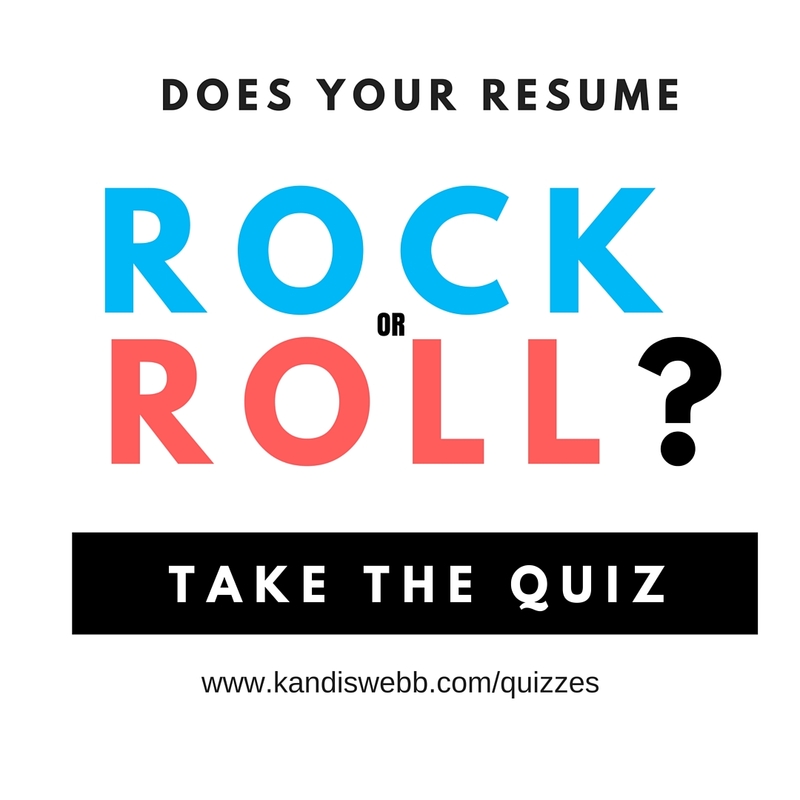 If you’re not sure whether your resume ROCKS or ROLLS, then take the quiz. If it doesn’t rock, then you’ll gain some immediate feedback on a few things you can do RIGHT NOW to make it ROCK! Good luck! No matter your results – YOU ROCK! Make sure your resume always reflects THAT FACT so you can move confidently in your job search and interview process. If you need help, I can definitely get you back on the confidence train to success with a complimentary Clarity Chat! I’ve not taken the quiz, but will do so in the a.m. Thanks, Michael! I’d love your feedback!